then they became a specialty of Rome. They were then called Gnocchi Alla Romana. 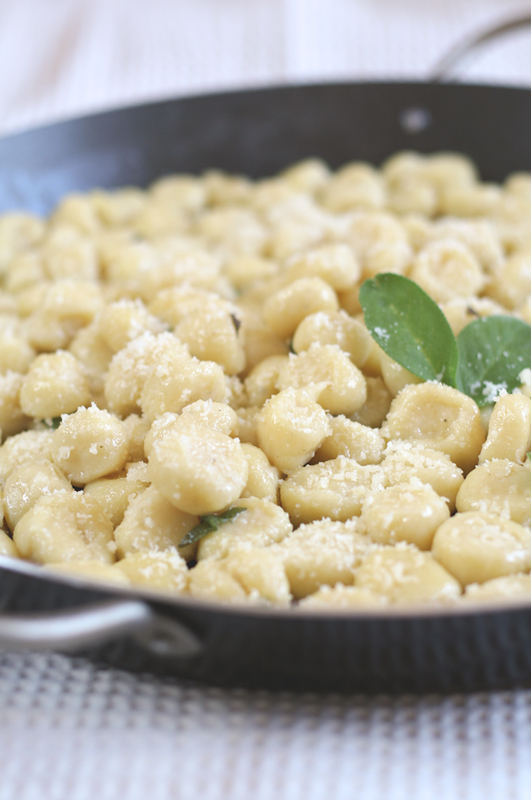 Therefore whenever we talk of Gnocchi we have to specify which type: di Patate or Alla Romana. Unfortunately I was so busy preparing all my dishes that I forgot to take pictures. So this picture from Wikipedia on Google will have to do. Furthermore I did not start from scratch. I bought ready made packed under vacuum from the supermarket. For 12 persons you will need 80 -100 gms of gnocchi per person. - 1 kg of gnocchi uncooked. - 500 gms. of Gorgonzola Cheese. - 100 gms of freshly grated Parmesan cheese. - 1 liter of fresh cream. - Pepper mill for green pepper. - Bring to a boil 10 liters of water. - Only when water boils throw in 3 table spoons of kitchen salt. - Add the gnocchi which will sink to the bottom. No worry. Stir a couple of times with a wooden spoon. - Let boil till all the gnocchi rise to the surface. Try tasing one. They should be ready. 5-7 minutes total. - Meanwhile in a separate pot, add your cream, gorgonzola cheese, freshly grated parmesam, a few turns of the green pepper mill, and let gorgonzola melt and stir. When mixed well, add the steaming hot strained gnocchi. Stir a couple of times. Cover. Always save some water from the boiling of the pasta just in case you need it for the sauce. - 3 minutes later stir again for more coating with the sauce. - One last stir when ready to serve each plate. Sprinkle some more green pepper, and serve.